SHARE MY TABLE is an inclusive project featuring live performance and visual art by refugees in Glasgow, inspired by their experience of building new lives in the city. Led by Tramway and Scottish Refugee Council, the group uses creative techniques such as sculpture, performance and photography to respond to the recent media attention and debate around refugee issues. This unique scheme brings together people from more than twelve different countries and across generations as they rebuild their lives in Glasgow. The intiative is supported by The Dhabba, and on Wednesday 6 September staff met participants at the popular Merchant City restaurant to find out more about the work first hand. Navdeep Basi, owner of The Dhabba, said the idea of Share my Table had ‘really resonated’ with him. He said: “We are really proud to be supporting Share My Table and the Scottish Refugee Council on such a wonderful project. 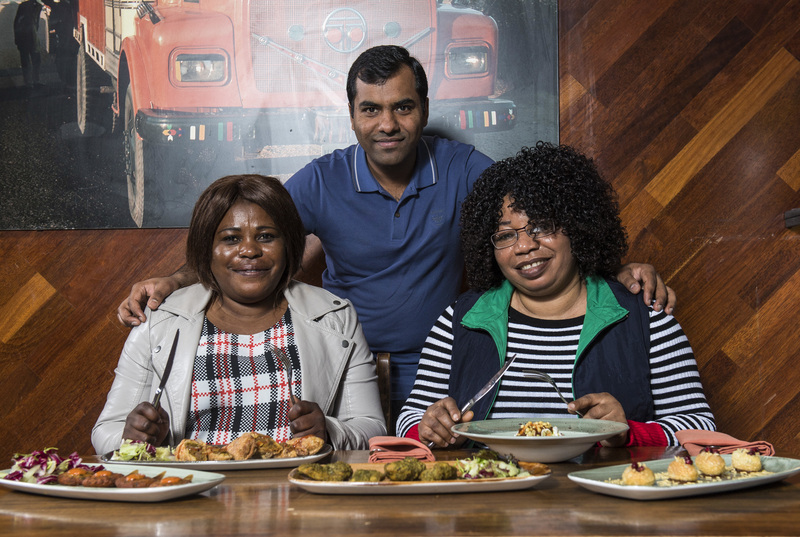 “We loved the idea that Share My Table started off encouraging people from different parts of the world to share authentic food from their own countries. This October, the Share My Table group invites you to share the work they have created over the last six months at Tramway and take part in their journey towards creating a new home in Glasgow. Performances are on 20 and 21 October at 6.30pm and the exhibition runs from 19 – 29 October.